Wilbraham on August 16, 2018 at 1:15 PM. Elaine Mary (Garwood) was born in Detroit Michigan on July 24, 1941. Daughter of Martha and Leon Garwood; sister to Gary, Lee, and Douglas. Wonderful wife to Tom Henshon for over 50 blissful years. It was love at first sight and a blessing over the years. Elaine was a total giver, not a taker. Mother to Matthew, Suzanna, Andrew, and Brian. Mother-in-law to Amanda and Meghan and proud, loving grandmother to William, Mark, James, Cecily, Molly, Owen, Maeve, and Sarah Elaine. Sister-in-law to her favorite brother-in-law, David and his friend, Virginia. She also leaves behind her dear friend, Ellen. Loving aunt to Michigan nieces and nephews. Elaine was a member of the charter class at Oakland University where she received the honor of being the top mathematics graduate. She was the first woman to receive a Masters Degree in Computer Science from Worcester Polytechnic Institute. She spent her working career as a computer systems engineer at Honeywell and then as an electronic game designer for Milton Bradley and later was director of the Dual Degree Engineering Program at Smith College. 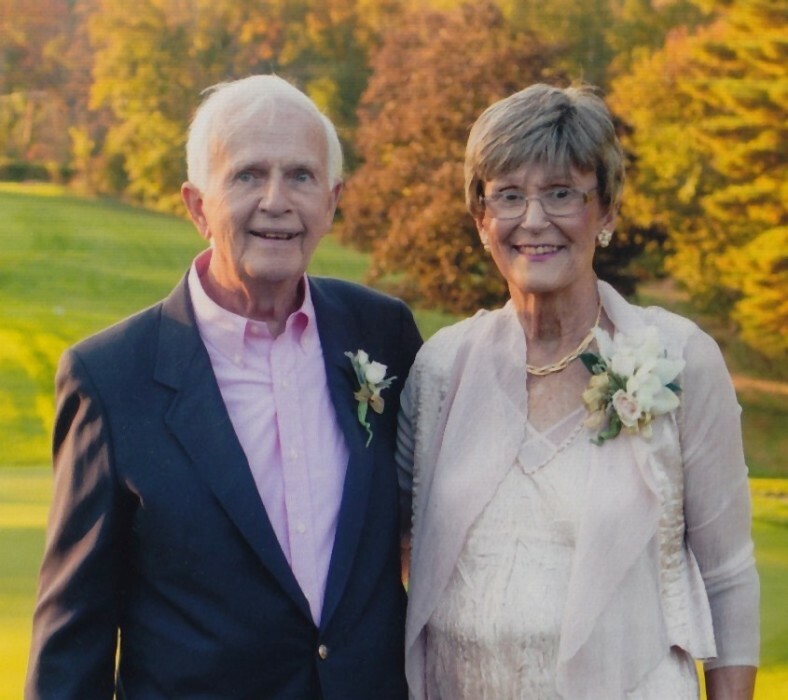 Elaine would tackle anything including home repairs, sewing, birthday cake design, piano teaching to Brian, writing, sculpting, and investing, and was an exceptional wife and mother. She recited many poems from memory. She practiced yoga and tai chi at the YMCA. She was a private, spiritual, beautiful human being. She was a very good athlete – baseball player, figure skater, and later in life took up golf and scored a hole-in-one at the Country Club of Wilbraham. She was a soul mate for Tom, and, as the saying goes, taught him everything he knows. Elaine was an incredible model of efficiency and integrity, way ahead of her time. Elaine was diagnosed with a rare form of breast cancer (NNN) and received wonderful care from her friend, Dr. Steve Isakoff, as well as Dr. Michelle Specht and Dr. Coleen Keyes. Over the course of her 8 year battle, she received love and support from the staff of the Termeer Center, Susan, Jonathan “the painter,” and all at Massachusetts General Hospital. Elaine was past president of the Cosmopolitan Club, director of the Springfield Forum and on the board of the Association for Community Living. She helped start the gifted student program in Wilbraham and most importantly to her, was the Special Olympics swimming coach for the Pioneer Valley team for over 30 years. Part of Elaine’s life mission was to inspire the parents of special needs children, and in 2015, with her children, she produced a short film about raising her son Brian which can be found on YouTube by searching for “Finding Miracles.” This inspirational film has been viewed in over 100 countries around the world. Relatives and friends may call on Wednesday, August 22nd from 4-7 PM at the Byron Keenan Funeral Home & Cremation Tribute Center, 1858 Allen Street in Springfield. A Liturgy of Christian Burial will be celebrated by Msgr. George Farland, directly at Sacred Heart Church, 395 Chestnut Street, in Springfield on Thursday morning, August 23rd at 10:00 AM. Rites of Committal will conclude at Gate of Heaven Cemetery, 421 Tinkham Road, in Springfield. In lieu of flowers, donations in Elaine’s memory may be made to the Springfield Museums, 21 Edwards Street, Springfield, MA 01103.